Not only can third-party remotes control Apple's set-top box, but they can now even invoke Siri —something that has thus far been limited to Apple's own Siri Remote. I've used many smart or universal remotes regularly in my home. 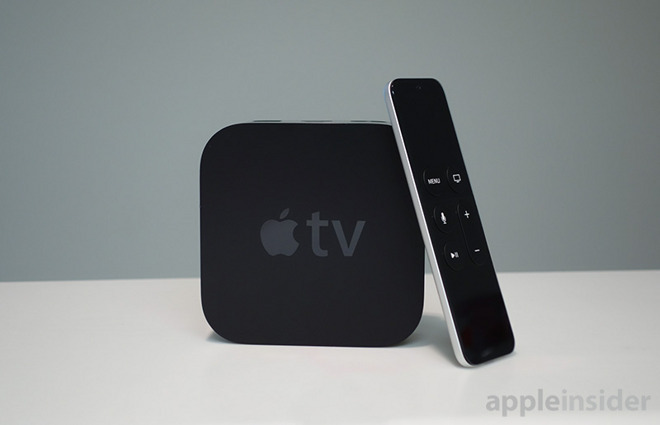 In the years of the third-generation Apple TV, I was a steadfast Logitech Harmony user. Apple forced a change when the fourth-generation launched, bundled with the new voice-enabled Siri Remote. The Harmony was still able to control the Apple TV, but couldn't query via Siri. So, I was forced to abandon my Harmony controller. Considering that Siri was, at that time, the only way to interface with HomeKit devices, it was a problem for me. Since the keynote, Federighi's offhanded remark stuck with me as I pondered the reach of this new upcoming functionality. Little information has been released thus far, making it harder to discern what will, and won't, be possible. What we do know, is that several companies have come on board to offer this new functionality in their own smart remotes. Control4, Crestron, and Savant have all been name-dropped by Apple as partners who are interested in adopting it. What this means, is that there can now be IP control of the Apple TV, with voice commands coming through new devices such as Crestron's TSR-310 touchscreen remote. Siri has become more and more useful in recent years. Users can ask Siri to control any HomeKit device, including the HomePod or third-party AirPlay 2 speakers. Now that Siri can be baked into these new smart remote systems, they too can be used to control any of those devices. What's more, as AppleInsider reported shortly after WWDC, is that these new remotes that work with the Apple TV, will also support HomeKit. Many possibilities exist with that simple change. Again, we don't know how this will all play out for sure, but it has really had me thinking of what we could do. Will these "remotes" act as controllers for other HomeKit devices? Could I see my entire inventory of HomeKit devices listed on the screen of a Control4 controller? Or, are these remotes simply added as devices to be controlled like the rest? In this scenario, any IR or RF device could be controlled. Remotes exist for blinds, TVs, ACs, receivers, speakers, fans, and more. If this pans out, manufacturers can create an IR/RF blaster that can "learn" commands from "dumb" remotes, similar to how the Siri remote learns new commands to control the volume on a receiver. Then, you could tell Siri to turn on the TV, change the input, change the channel, control my cable box, etc. 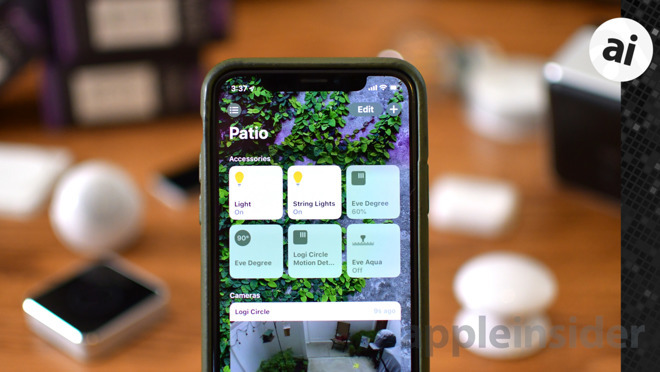 Unofficially, adding remotes to HomeKit was possible using an aftermarket solution called Homebridge that is used to bring additional features to HomeKit. Homebridge usually requires quite a bit of know-how and is, of course, not supported by Apple. In a tutorial I wrote a few months back, I showed users how they could create their own HomeKit-equipped camera this way. While this can be fun for those willing to tinker, it is not a solution for the vast majority of users and even the tech shamans run into problems as evidenced by the comments on the article. 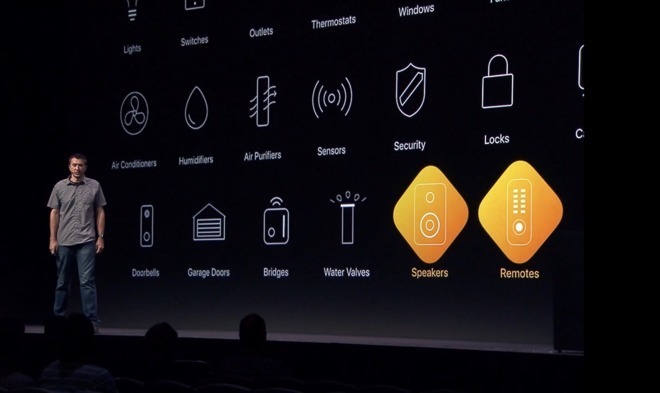 Having remotes added to HomeKit could really be a game changer for users not interested in hacks or workarounds. Instead of buying an expensive HomeKit-enabled fan, any existing model with a remote could be effortlessly added to HomeKit with a new HomeKit remote. And, TVs, receivers, and speaker systems could all be controlled through Siri and HomeKit without any large expenditure. The same goes for AC units and many, many more devices. Even controlling accessories from non-Apple devices would be huge. 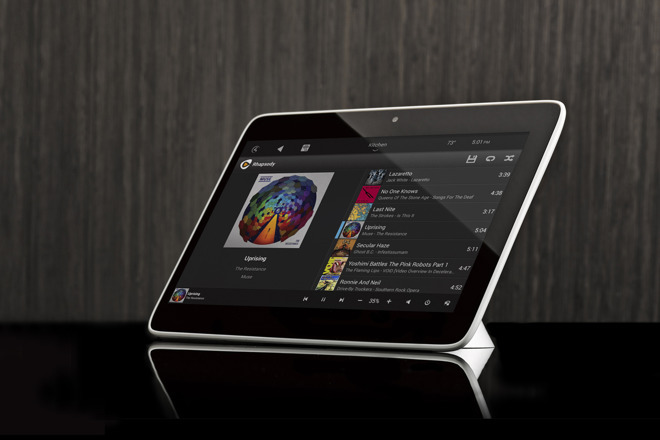 In-wall touchscreen controllers, other non-HomeKit smart homes that interface with these more robust systems like the aforementioned Control4, Savant, and Crestron. I'm holding out hope that this new remote control functionality will come with iOS and tvOS 12.0 this fall, but in all reality, it could be delayed like has often been the case. Apple intended to ship the water controller/sprinkler functionality with iOS 11.0, but instead, it didn't make it's way out until iOS 11.2 and 11.3. Devices like the Eve Aqua, were held up substantially as a result. If the remote category doesn't launch with the initial release of iOS 12, it could end up being more than a year away before we actually see any HomeKit remotes make it to market, and this would be a shame.